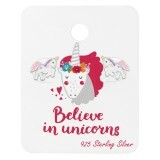 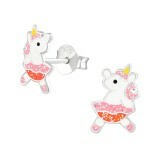 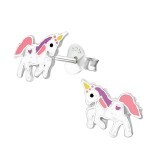 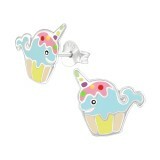 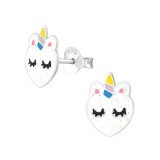 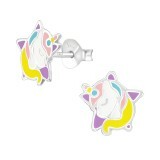 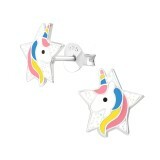 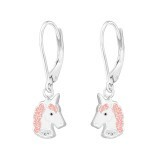 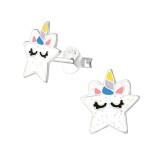 Adored by both youngsters and adults, unicorn themed jewelry couldn't be missing from our wholesale collection! 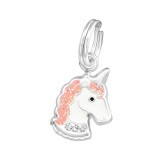 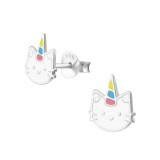 You can find a very large selection of pendants, rings, charms, bracelets, studs and more wholesale jewelry that feature unicorn. 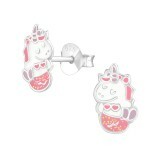 They are all 925 sterling silver jewelry at very low wholesale prices. 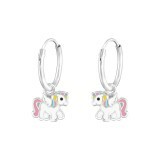 Some are simple yet crisp designs while others feature crystals and colorful details that make each unit unique. 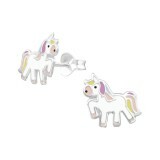 Adhered with epoxy, the unicorn bonds well to the metal findings ensuring longevity and safety for kids. 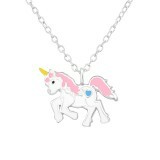 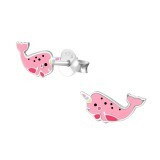 At We Silver Jewelry, we provide unicorn wholesale jewelry for both children and adults in a huge range of designs and styles – from whalecorn studs to unicorn & rainbow necklaces. 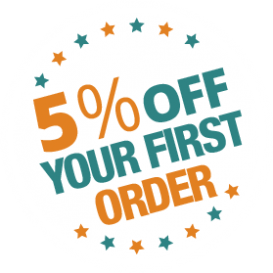 See what we offer and take advantage of our great discounts on large orders.